Upon numerous requests from her friends and neighbors, Dawn DeCray started Interiors by Dawn in 1999. She has designed numerous homes in Charleston, SC, and Kansas City, Kansas before moving back to the Jacksonville area in 2001 where she now lives with her family in Ponte Vedra Beach. Since her return, she has designed many homes from the ground up, worked with several builders in town, has handled over 100 remodels and redesigned many interiors at the beach and throughout the city of Jacksonville. 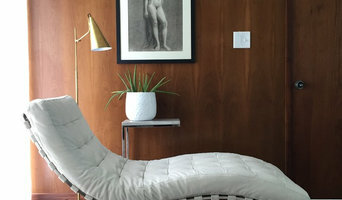 Having grown up in the suburbs of New York before moving to Jacksonville for the first time at the age of ten, she brings the knowledge of all these different cities and styles of decor. Dawn has also been chosen to work on two Symphony show houses and has beautifully handled decorating and event planning for companies such as The Haskell Company, The Cathedral Arts Project ("Spring for the Arts" event - three years in a row) and numerous other events, such as weddings, large birthday parties and Bat mitzvahs. Dawn specializes in creating fabulous unique and functional interiors, incorporating the client's personality and reflecting the client's style and interests. Mixing the old and the new is a top priority in achieving a timeless and interesting look. She prides herself on the relationships she acquires with her clients and making their home feel like it reflects their own personal vision, and truly "feels like home" to them. She is known for her attention to detail, knowledge of materials, and her spot on abilities with color. At Lemongrass Interiors, I'm dedicated to providing professional interior decorating services that are at once thoughtful, unique and attractively priced. I enjoy all aspects of interior design, from smaller staging projects to comprehensive home design. New construction is my passion from concept to completion. However, no job is too small and there is wonderful satisfaction in spending a couple of hours with a client and leaving them with a fresh inspiration and a new perspective on their home. In 2006, Jessica launched Lemongrass Interiors, putting her passion to work, creating beautiful spaces for her clients. Though she enjoys all aspects of design, Jessica's specialty is new construction and comprehensive home planning, as well as renovations. She begins with hand-drawn floor plans & sketches and, in collaboration with her clients, develops a custom design that suits their needs perfectly. My philosophy is simple: To deliver more than promised, just for the joy of it! Art of Arrangement is a full service design studio that believes your style is our style. I have spent a lifetime with a passion for design. 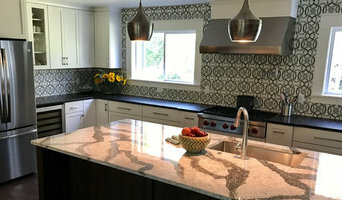 With 27 years of experience in the design field I partner with skilled professionals to complete all of my projects and continue to grow my business by listening and understanding my clients overall needs combined with having the right resources, knowledge of design and a eye for all the details. Wendy Patrick Designs creates unique coastal interiors for beach homes and rental properties. Wendy is an experienced consultant on investment properties, who can provide you with a custom look that also offers you the best ROI. By using her design solutions, she turns your vacation vision into a reality. Tallahassee’s Preferred Home Staging Company. Today’s real estate market commands your home to be buyer-ready. Fresh, inviting and memorable. Staged to move quickly and at the highest price. Because you have only moments to captivate a prospective buyer. Today’s consumer needs to fall in love at first sight and expects the home they purchase to be an expression of who they are and all they hope to become. We help you present their perfect place of comfort and refuge from the pressures of daily life. I believe the most important thing an interior designer can do is listen to the client. My job is to guide you in making the right decisions based on your personality and preferences. I will also help you stay within your budget and help you avoid costly mistake. Whatever your style may be - traditional, contemporary, transitional or eclectic - I would like to help transform your ideas into reality. Mary Solomon Interiors is a full service residential and commercial design firm offering a wide range of services from one room to an entire home or office. Mary also offers a consultation service for residential remodeling projects. Mary specializes in putting together a team of other professionals such as Architects, Contractors, Landscape Designers and many sub contractors. See the accompanying list of services for more information. The success of Mary Solomon Interiors is the result of commitment to excellence and attention to every detail. Mary enjoys every phase of a project, beginning with meeting the client and defining the project, to working with the contractors, drawing/revising plans, finding that perfect piece of furniture, architectural item, all the way to the completion of the project. Mary works hard to assure that the design process for the client is comfortable, understandable and professional. Her goal is to create an interior that is timeless, appropriate and "not decorated". With thirty years of interior design experience, Mary Solomon Moor will work on your project offering as much assistance as you desire until completion of the project. A good home design professional will hone your style down to its very essence and be able to choose a functional layout that feels natural to you. Interior design companies can be involved as much or as little as the client desires. Many clients who hire an interior decorator in Midway, FL — particularly those who are remodeling — have a good sense of how the room should look and what products they should use. Often clients will insist that interior decorators use the products already present in the house. Other times a designer will need to start from scratch — especially if this is a newly purchased or just-built home. An interior design company will need to figure out exactly what the client needs, which includes organizing rooms, picking flooring and wall colors, and finding furniture to complement it all. Sometimes that means he or she will have to recruit help from other Midway, FL home professionals to help create the perfect look for your renovation. Here are some related professionals and vendors to complement the work of interior designers & decorators: Architects & Building Designers, General Contractors, Home Builders, Design-Build Firms, Photographers. Do your research before meeting with an interior designer or home decorator in Midway, FL. Ask yourself what you want your space to become and what it will be used for. Figure out the extent of what you need help with, what your must-haves are and what your budget is. Interior design services can add up fast, so be up front with a potential design firm or individual from the beginning. Also, pick an interior decorator that fits your style. Browse through the portfolios of different Midway interior design firms and decide if you would live in those houses. Just because you like something doesn’t mean you could live in it. There's a big difference! 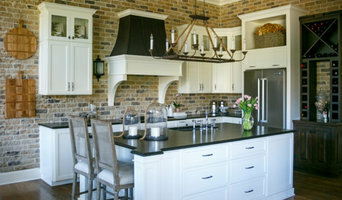 Find an interior designer or home decorator in Midway, FL on Houzz. 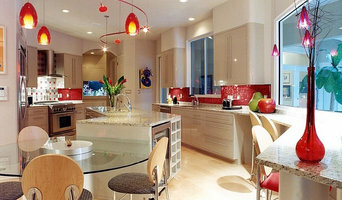 Narrow your search in the Professionals section to find Midway interior designers near you. You can also look through Midway, FL photos to find a room you like, then contact the design firm who designed it.